Scientists studying the chemical composition of weathered oil from the Deepwater Horizon spill published their recent findings in the July 2012 issue of Environmental Science and Technology: Oil weathering after the Deepwater Horizon disaster Led to the formation of oxygenated residues. The authors identify a compound of oxygen combined with oil hydrocarbons (oxyhydrocarbons) which make up a significant amount of the chemical composition of weathered oil. This finding expands the analytical window, or the range of compounds, that scientists can study in determining the fate and effect of petroleum hydrocarbons after an oil spill. 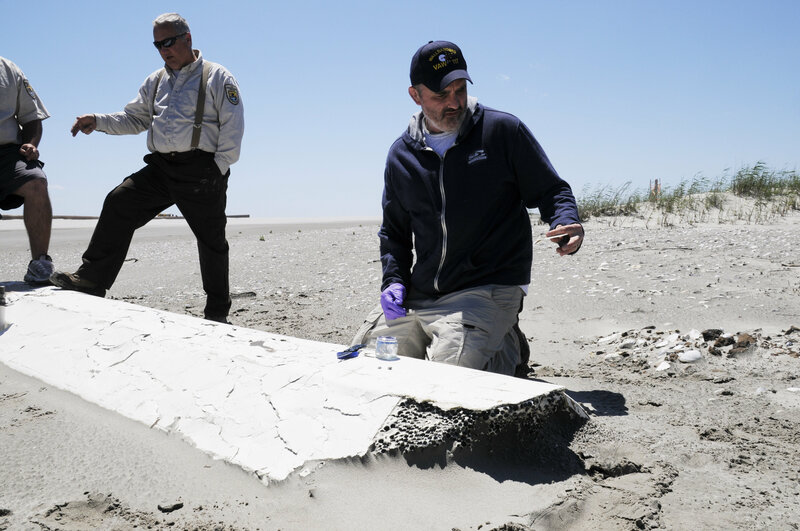 For eighteen months after the oil spill, researchers studied the effect of weathering on oiled samples taken from surface waters, sand patties, and rocks and boulders. Over time, scientists found that the oxygen content increased in their weathered samples that contained hydrocarbon residues and, more specifically, there was an increase in weathering-dependent oxygen. Their results show that this transformation product of oxyhydrocarbons can be a significant mass of weathered oil and should be considered in assessments of weathering stages and in toxicity studies. The study authors are Drs. Christoph Aeppli at Woods Hole Oceanographic Institution (WHOI), Catherine A. Carmichael at WHOI, Robert K. Nelson at WHOI, Karin L. Lemkau at WHOI, William M. Graham at the University of Southern Mississippi, Molly C. Redmond at the University of California (UC) Santa Barbara, David L. Valentine at UC Santa Barbara, and Christopher M. Reddy at WHOI. This research was made possible in part by grants from BP/The Gulf of Mexico Research Initiative through the Deep-C Consortium and a Bridge Grant. Other funding sources included the National Science Foundation (OCE-0960841, RAPID OCE-1043976, RAPID OCE-1042097, EAR-0950600, OCE-0961725). C.A. acknowledges a Swiss National Science Foundation Postdoctoral Fellowship (PA00P2_134124).